Lead counsel for a publicly traded global manufacturer in negotiating new supply agreement for automotive parts and ultimately the divestiture of its automotive assets. Lead counsel for Liquidating Trust created pursuant to a confirmed plan in a Large Florida real estate Bankruptcy case consisting of approximately 25 operating hotels, 6 or 7 businesses and multiple tracts of raw beachfront land. The Trust was run for the benefit of the creditor beneficiaries whose claims exceed $300 million as represented by a 5 member Committee the members of which were from a publicly traded REIT and large financial institutions. Lead counsel for private equity group in connection with the sale at auction of a major pool of real estate assets in Florida. Coordinating counsel for manufacturing client in connection with asbestos claims. Coordinate defense of claims asserted across the nation. Lead counsel for foreign automotive manufacturer in supplier bankruptcy. In that role worked successfully with debtors' counsel and counsel for the strategic purchaser of the assets of one of the debtors to get bankruptcy court approval of the sale without auction. Lead counsel for lender in multiple states and matters to have receivers appointed distressed real estate assets. The receiverships preserve entitlements, enable build out and facilitate the sale of the developments to maximize recovery. Lead counsel for foreign automotive manufacturer in supplier bankruptcy. In that role negotiated a post-confirmation supply agreement and continue to work in connection with sale and disposition of debtors assets which are used to make parts in order avoid an interruption in supply. Lead debtor's counsel for chapter 11 distributor of fruits and vegetables that had been in business for over 100 years and had annual revenues exceeding $135,000,000.00. Liquidating the Debtor's property in order to pay valid PACA claims, administrative expenses, and unsecured claims, including claims made by former employees for unpaid wages. Lead bankruptcy counsel representing a senior secured lender that provided pre-petition financing and debtor in possession financing through an account receivable factoring arrangement to chapter 11 debtor trucking company. Lead counsel for potential prepack chemical and hazardous waste hauling company with locations in 11 states operating across the U.S. and in Canada. Lead counsel to the fifth largest bank in the state of Alabama who acquired assets of insolvent and filed bankruptcy in the Middle District of Alabama. Lead counsel to an international banking and financial services holding company who was a creditor to a manufacturer of commercial and consumer foam, metal and spring products for the transportation, furniture and bedding industries who was experiencing operational and financial difficulties as a result of decreased demand for its products. Lead counsel supermarket chain with 65 locations in 5 states in their chapter 11 bankruptcy filing in Alabama. 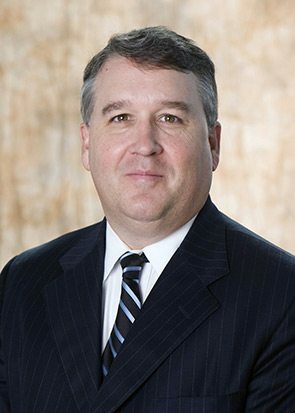 Chris practices in the Creditors' Rights & Bankruptcy Practice Group and has experience in handling debtors and creditors in state, federal district, and bankruptcy courts. Chris represents lenders, borrowers, debtors-in-possession, liquidators, buyers, creditors, consultants, lessors, contractors, trustees, and receivers in every aspect of business bankruptcy and insolvency law, including the negotiation, structuring and documentation of complex commercial loans and related transactions, as well as in out-of-court workouts and related restructurings. He also litigates and provides clients with advice in connection with the structuring of complex lending and other commercial transactions. Chris is a member of the Alabama State Bar, the Tennessee State Bar Association, the Texas State Bar Association, the American and Birmingham Bar Associations, the Alabama Defense Lawyers Association, the Defense Research Institute, and the Transportation Lawyers Association. Since 2010, Chambers USA selected Chris as a Leading Practitioner in the area of Bankruptcy/Restructuring. He has also been selected for inclusion in Alabama Super Lawyers listings since 2011 and is listed in Best Lawyers in America. Chris is a founding member of the Alabama Chapter of the Turnaround Management Association. He is also a past member of the Executive Board of the National Turnaround Management Association. During law school, he was an Editor for the Alabama Law Review, a Hugo Black Scholar and a member and past president of the Moot Court Board.